This morning my husband’s tone let me know something serious had happened-not “I overslept” sort of serious, but truly serious. He came downstairs and told me that someone we knew: a husband, a father of two little girls, & a former hockey player (pretty good we hear but we just knew Wade as “Andie & Alex’s Dad”) had passed away. I know his wife Jennifer to be a very kind, friendly, beautiful, down-to-earth person who is also a great mom. I mainly knew Wade from birthday parties-he was always in his Dad mode when I saw him and he appeared to be very much in his element and at ease when with his girls. It was hard to even imagine this guy, this “Dad” getting into a scuffle unless to protect one of his kids. When I see hockey clips, I know he must have done a little scuffling for a living and he seemed to love the game. Stunned was my initial reaction upon hearing the news, then immediate sadness for his wife and children. I am sure I will have a few problems today but let me keep in mind I am not dealing with how to tell my child about the death of her dad. My heart aches for any mother who has had to do this as it must be one of the hardest moments in anyone’s life-certainly one we don’t anticipate as we go about the mundane everyday activities of life. 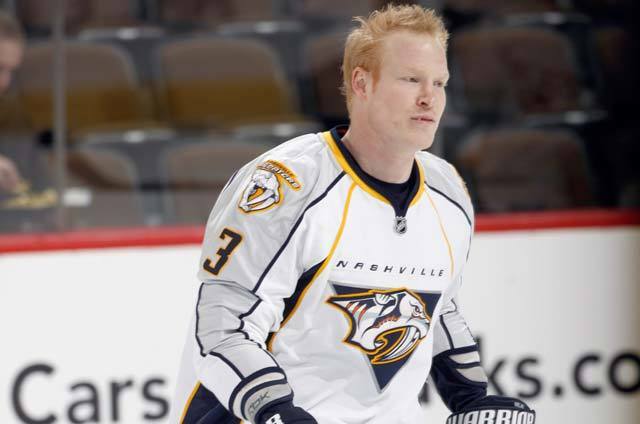 Whatever your struggles today, take a moment to think about the Belak family as well as others going through difficult times. Share any insights you may have on getting through the roughest times in your own life. 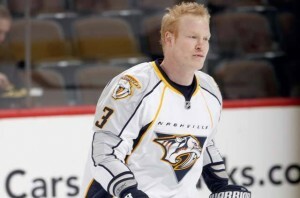 In memory of Wade Belak–gone too soon.